Enterprises, brands and growing businesses seeking multichannel, bulk management and API integration. We serve most verticals and have extensive features focused on auto/moto parts and accessories. We offer fixed monthly or yearly pricing with no contract required! Were a complete multichannel e-commerce solution that combines extensible software along with a suite of professional and managed services to support strategic and operational needs for enterprises, brands and growing businesses. Our software combines a powerful user interface driven by a customer accessible open API, along with comprehensive onboarding, excellent support, and curated services such as listing management, customer service and warehouse fulfillment. Suredone made it possible for our company to manage three e-commerce sites with limited resources. 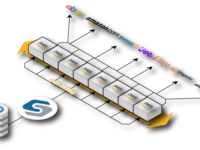 Pros: SureDone is a great platform for creating a e-commerce web-store especially if you sell on Amazon, Ebay, Etsy and now Walmart. Not only can you control all three of these markets from your web store, you can also create a website that is packed full of content and beautifully presented. Because SureDone is easy to use and extremely intuitive I highly recommend this platform to anyone that wants to make e-commerce as easy as possible. 4) One click listing to manage all e-commerce sites. Diamond Diesel is a small company with limited resources to throw at managing e-commerce . SureDone allow us to get into these markets in a cost effective and efficient way. For example, I use the bulk up-loader when our supplier has a price increase. I can modify one data file and update our Storefront, Ebay and Amazon pricing with one click. This is a huge benefit of Suredone which, by itself, pays the price of admission. Cons: We are attempting to make our Web Store Mobile Friendly. It is a work in progress and we have run into some programming issues. SureDone is very supportive and hopefully we will be mobile friendly soon. Overall: Bulk uploading is the best feature of this product. Second best feature is the one click listing. It's a good multi-channel solution at a reasonable price. Pros: Multi-channel functionality (eBay, website, Amazon, Walmart), ability to import & export in bulk and ship from all platforms. Cost is also fair/reasonable. Cons: Initially there's a bit of a learning curve & some technical info needed to understand the system, but I don't see how there could be a multi-channel solution with all the requirements of each system without diving into details. 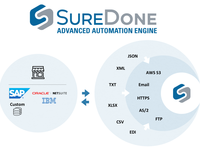 Suredone provides good FAQ's & their support team is very responsive & helpful. Once the system is learned, it's full steam ahead. Overall: Helps provide us with the multi-channel system we need. Great Tool For Listing to eBay and Amazon! Pros: First, the amount of online resources for each of the different processes is really amazing - they explain exactly what to do and how to use the program. Second, the onboarding team is phenomenal and they really work to make sure that you know how to use their software before going completely live as well as answer and walk through any questions you may have. Third, the ease in which it takes to learn the software is great - it does take some time, depending on the size of your current eBay or Amazon marketplace, but the software seems very straightforward and intuitive. 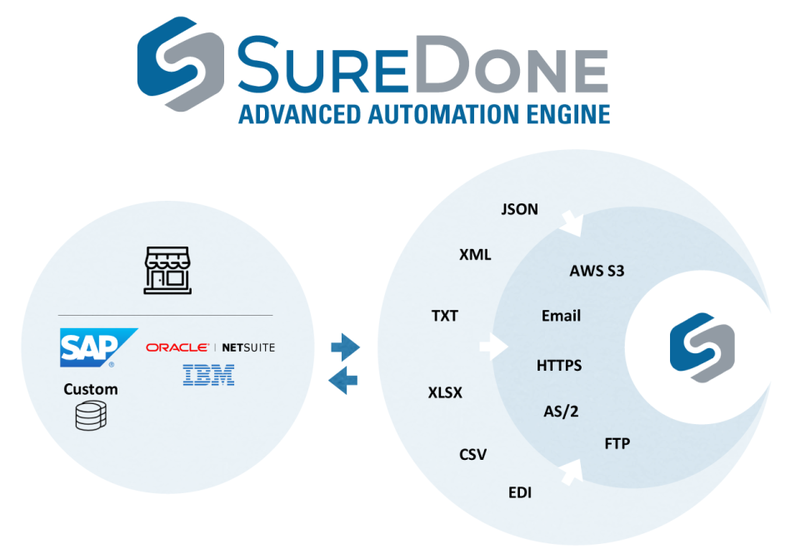 Additionally, the SureDone team takes customer suggestions and works with our team to help improve the use of the software, which is the best part. Cons: Some of the features that we would like to see are not currently being implemented - however, this is really a non-issue since the SureDone team is working with us in order to create the features that we requested. 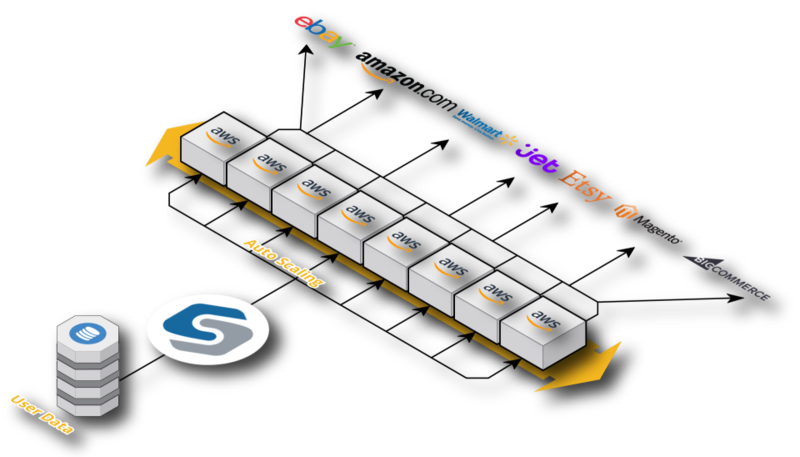 Overall: Listing to eBay and Amazon in bulk is extremely user-friendly with the SureDone software, and thankfully their team is willing to work with us in order for our team to get the greatest use out of it. Pros: They have a great customer support staff that's willing to help and guide you through learning their software. They're always willing to expand their platform when presented with ideas or new features. Cons: Very complex and not always the most user friendly. There's some features or ways the program handles things that just doesn't make sense. At least not yet. We're still in the early stages of implementing/using this program so we're still learning. Pros: They have options to do fitments either in the software or by inputting epids. Love the easy layout and uses of the CSV downloads to do fast work. Cons: Nothing that we have run into has not been resolved without incident. Keep up the good work SureDone!!! Overall: Easy listing to various stores, with ease of access.